No single event in American history did more to shape the United States Forest Service than did the 1910 fire, and no two men ever cast longer shadows over the Forest Service than did Gifford Pinchot and W. B. Greeley, the agency's first and third chief foresters. Beyond all doubt, the way the Forest Service views forest fires today - indeed the way the public views forest fires - is rooted in their handling of events that occurred during and immediately following the 1910 fire. On March 26, 1903, President Theodore Roosevelt made a speech at a Society of American Foresters meeting in Washington, D.C., outlining - in unmistakably clear terms - his reason for pushing creation of a system of national forest reserves. Here is what he said. "And now, first and foremost, you can never afford to forget for one moment what is the object of our forest policy. That object is not to preserve the forests because they are beautiful, though that is good in itself, nor because they are refuges for the wild creatures of the wilderness, though that, too, is good in itself, but the primary object of our forest policy, as of the land policy of the United States, is the making of prosperous homes. It is part of the traditional policy of home making in our country. Every other consideration comes as secondary... You yourselves have got to keep this practical object before your minds; to remember that a forest which contributes nothing to the wealth, progress or safety of the country is of no interest to the Government, and should be of little interest to the forester. Your attention must be directed to the preservation of the forests, not as an end in itself, but as a means of preserving and increasing the prosperity of the nation." 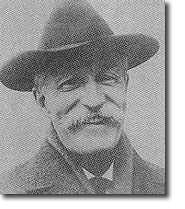 It was no accident that Gifford Pinchot was selected in 1905 to be the first chief forester of the newly created Forest Service. He and President Roosevelt were kindred spirits. They shared a belief the agency's first job was to save western forests from the forces of destruction, to wit: western lumbermen. Pinchot was much more than a forester. He was a crusader, and in powerfully delivered speeches he told a nation that if something wasn't done to curb the appetites of western lumbermen, there would be a timber famine. He hand-picked his disciples - a mixture, he said, of "college?trained foresters, cattlemen off the range and lumberjacks fresh from the woods." Bill Greeley was among the chosen. Pinchot was outraged. He labeled Greeley's report "one of the ablest / have seen, and altogether one of the most dangerous. [It] puts the Forest Service in the position of throwing contempt upon its basic reason for existence." From the beginning, Greeley was uncomfortable with Pinchot's fervent belief in the mercenary character of the average lumberman. It was a discomfort that would later boil over in a series of very public debates that were destined to shape the entire National Forest System, and the Forest Service itself. But this was 1905, and for now the show was Pinchot's. Pinchot's orations - and Roosevelt's - stirred long dormant public opinion. Newspaper reports about timber fraud involving public figures added fuel to the fire. In the end, over the objections of cattle, mining and lumber interests who had come to view western public lands as their own, congress created a series of forest reserves that became the National Forest System. Bill Greeley loved his work, and he seemed to thrive on the chaos created by the emergence of the new Forest Service. He, however, had spent enough time laying out timber sales in northern California to know that all lumbermen were not the mercenaries Pinchot said they were. "It is not all beer and skittles," he told a friend. Perhaps, he said, there is "another side to forest devastation." Perhaps lumbermen could be persuaded to cut less and replant where they cut if something could be done to reduce the risk their investments would burn up in a forest fire. At first, lumbermen scoffed at Greeley's gentle prodding. He was, he said, frequently greeted with "expletives about taxes and carrying charges, mill investments to be liquidated and stockholders demanding dividends." Still, Greeley pressed on; but it would take the greatest forest fire in American history to light the way. During the Pinchot years, an Adirondacks forester named H. M. Suter wrote an article in which he reduced the often high-minded aims of early day foresters to a single sentence. 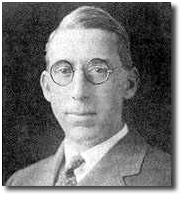 The first objective in forest protection, Suter wrote, was "to extinguish small fires promptly and thus avoid the great expenditures inherent in well-nigh hopeless struggles with conflagrations." 'It should be the concern of the public not only to keep the industry competitive but to cooperate with the lumberman in making his business more efficient... Progress toward an adequate forest policy rests mainly on cooperation between the public and the lumberman." Bill Greeley never forgot this axiom. And when he assumed command of District One in September 1908, he began immediately to make plans for dealing with fire. But he faced a daunting task. Scattered through the 22 national forests under his jurisdiction were hundreds of thousands of acres of private forest land. Somehow, he had to convince lumbermen they should join forces with the government to defeat their common enemy: fire. Reduce the threat of fire, Greeley reasoned, and "the intelligent lumbermen, seeking their own interests, would flock to the banner of planned forest management." Greeley found an ally in George S. Long of the old Weyerhaeuser Timber Company. Weyerhaeuser had lost a tremendous amount of timber in 1902 fires, and thereafter led a drive to encourage the formation of private fire-fighting cooperatives. Long invited Greeley to participate in a lumbermen's conference in Spokane in January 1909. It was the opening he needed. By June, Greeley had negotiated agreements for cooperatives throughout District One, and the campaign spread to Oregon, Washington and California where other forest protection associations were soon established. Many of these cooperatives survive today and form a private industry network that continues to work hand-in-glove with state and federal fire fighting agencies. There is no way of knowing how much more death and destruction the 1910 fire might have spread had not the fire cooperatives been in place, but in the aftermath, A. F. Potter, who was then acting chief of the Forest Service, paid tribute to Greeley's genius. "The cooperation of railroad companies and private timber landowners in the Northwest has been a great help," he said. "We are in a much better position now to protect the forests t an we would have been a few years ago." What could not be measured was the strength of the forged-in-fire bond that now existed between the Forest Service and lumbermen who had together, and for the first time, faced down a common enemy. For the young Forest Service, the 1910 fire added insult to injury. Earlier that year, Gifford Pinchot had been dismissed from his post by none other than the president of the United States, William Howard Taft. The president fired Pinchot for publicly castigating Secretary of Interior Richard Ballinger, for his role in what Pinchot thought was a fraudulent coal deal involving public lands in Alaska. Pinchot's departure left the Forest Service without its guiding spirit. His absence together with the 1910 fire had much to do with the agency's decision to declare war on fire. In 1911, Congress ratified the Weeks Act. It put the federal government in the forest fire fighting business, and laid the groundwork for a vast network linking the Forest Service, state agencies and local cooperatives. That same year, Henry Graves, who replaced Pinchot, transferred Bill Greeley to Washington, D.C. and put him in charge of administering the Act. Greeley would later recall being "spurred on by vivid memories of blazing canyons and smoking ruins of little settlements and rows of canvas-wrapped bodies." He became, he said, "an evangelist out to get converts." In 1906, Bill Greeley and Gifford Pinchot rode the high lonesome together. In California's Sequoia National Forest, they marked timber in sale areas, scaled peaks to inspect possible lookout sites, and talked long into the night beside flickering campfires. Greeley was a Pinchot disciple. Around him, Greeley said he felt "like a soldier in a patriotic cause." "The appeal he ... [made] to young people ... [was] irresistible," Greeley later wrote. "He ... [carried] a class of collegians with him almost as if he owned them ... [and] trained a staff of young subordinates who fairly worshiped him, whose loyalty... remained unshaken by any later vicissitudes." But it would not last between Greeley and Pinchot. Both were strong-willed men, and where lumbermen were concerned, they disagreed sharply on how the government might best deal with them. Pinchot believed regulation was the only answer, and he continued to beat the drum for federal control of private timberlands from his new post with the Society of American Foresters. Greeley preferred cooperation. It had worked on the fire lines in District One in 1910, and it would work in the future. In 1914, the Forest Service, the Bureau of Corporations and the Federal Trade Commission conducted a joint investigation of the lumber industry "to obtain and place before the public in a constructive way the essential facts regarding this industry and their bearing upon forest conservation." Greeley participated in the investigation, and his subsequent report became the fault line between Pinchot-led forces who distrusted lumbermen outright and a more pragmatic Greeley-led contingent who recognized the role lumbermen were playing in opening the West. Unlike many of the intense idealists, Greeley recognized the value of the lumbermen to the development of the country's economy. In his opinion, they'must be credited with public and economic service ... through large contributions to the support of local government and of community institutions and improvements and, in the main, through ... general and increasingly efficient protection of forest resources from fire.' But, [Greeley] continued, they had'fallen down in... speculation ... financing and ... wasteful use of the forests.' These detrimental aspects of their business methods were the price the United States has paid for the means used to develop its new States. Among Greeley's recommendations: Cutover timberland had to be protected from fire as a first step toward reforestation. Tax law changes were needed too, so lumbermen could afford to make long?term investments in forestry. And, he added, "public regulation of private forest lands ... [would play] a necessary and important part" in the development of an overall plan for managing the nation's forests. "But," he added, "in the face of many economic, business and legal obstacles, the process must be one of gradual development." Although Greeley knew there was only so much the government could do to help lumbermen, he was convinced "it should be the concern of the public not only to keep the industry competitive but to cooperate with the lumbermen in making his business more efficient ... Progress toward an adequate forest policy rests mainly upon cooperation between the public and the lumberman. Little can be done by either single?handed ... Suspicion and hostility ... [would] not help the public and ... [would] get nowhere in the practical needs of conservation." Pinchot was outraged. He labeled Greeley's report "one of the ablest I have ever seen, and altogether one of the most dangerous." In his opinion, it accepted the "commercial demands of the lumber industry as supreme over the need of forest conservation and the right of the public ... and puts the Forest Service in the position of throwing contempt upon its basic reason for existence." The fault line had become a chasm. On April 15, 1920, Bill Greeley became the third chief of the United States Forest Service. But Pinchot was still very much a force to be reckoned with. Now the head of the Society of American Foresters, which he helped found in 1900, he repeatedly and publicly challenged Greeley's leadership. But the two men did not disagree on everything. The realities of forest devastation and the need to regulate private timberlands were apparent to both of them, but they could not agree on how best to do it. Greeley could not accept Pinchot's "starting point that direct police action by Uncle Sam ... [was] necessary to bring about decent treatment of our forests." "Cooperation in forest fire prevention is the first and at present by far the most important step," Greeley declared. Moreover, Greeley did not see fire prevention as an end unto itself. It was, he said "the most effective step the National Government ... [could] take to secure the growing of timber on the private forest lands of the country." Pinchot rejected Greeley's belief fire prevention was essential to reforestation. What was more important was a rigid national program limiting harvesting on commercial timberlands. He was convinced lumbermen were predators, and he told members of the House Committee on Agriculture, "These are the men who have already destroyed this country and reduced to desert conditions an area larger than the forests of Europe ... The only control ... these gentlemen have any fear of is national control." Greeley never let his own emotions get in the way of winning the debate. "Timber can be grown on much of the forest land in the United States by private owners as a commercial enterprise," he told committee members. But first, he said, there must be "reasonable encouragement in the way of general and effective fire protection, tax adjustments, and education the timber supply of the United States can be largely grown by private enterprise." In the end, cooperation won out over regulation. On June 6, 1924, Congress ratified the Clark?McNary Act institutionalizing cooperative firefighting and reforestation policies that remain in force today. It was Bill Greeley's finest hour. It takes about three hours to drive from Missoula, Montana to Wallace, Idaho. Interstate 90 rolls west down the Clark Fork River Valley through some of the prettiest country there is. Near St. Regis, the mountains close in. It is especially beautiful here in the fall when, for mile after mile, the summer-green of tamarack needles gives way to blaze orange and yellow. The colors are every bit as brilliant as they are in New England. There is nothing left now that hints of what happened here in 1910, or in the halls of Congress thereafter. If, however, you had been on one of the Missoula-bound trains that rumbled down the St. Regis River Canyon on August 21, 1910 - through Saltese and Deborgia and Haugen and St. Regis - you would now be riding through a forest fire so near and so hot that it would melt the varnish off the cars. West of St. Regis the canyon narrows, and near Deborgia, the Interstate, the old Milwaukee Railroad bed and the eastbound St. Regis River all run in the same bedrock groove. I still fish here now and then, as I did for the first time almost 40 years ago. Always there is a flood of memory, but the one that lingers closest is of my grandmother who rode the rails down the St. Regis River Canyon through the greatest forest fire in American history.